Attention to detail. When you see German cellist Maria Kliegel playing on stage, it is immediately clear that she prepares her performances down to the finest detail. She is a perfectionist through and through. Even the magnificent dresses and robes she wears during a concert or solo appearance are so colourful, and suit her musical persona so well that they underline her elegance, refinement and versatility. She is a true artist, not only in her style of playing but also in her unfailing fashion sense. She is someone who is capable of infinite variations in musical themes, combined with an unprecedented feeling for materials and decor. A musical performance that is largely based on atmosphere and built up from inner resources, but paying due attention to the saying, "Clothes make the woman". you have to have special concert clothing. As you play in a seated position, they must look good, and be roomy and comfortable, because you need space while playing. It is really important for the style of your clothes to match the performance." "I got my first cello when I was 10. It was fantastic, the sound was like tasting chocolate." Maria Kliegel actually first learned the flute and then, at age six, she began learning the piano. At the age of 10, Maria and her twin sister Elisabeth were surprised at Christmas by their violinist father who presented them with two handsome instruments. He had chosen a violin for Elisabeth as she was the smaller one, and gave Maria a cello. Much to her own surprise, Maria started her cello career under the Christmas tree. 51 years later, Maria Kliegel smiles lovingly. "I was a young girl and I was so happy with the present my father had given me. We were very enthusiastic. The instruments were our Christmas treat. My father certainly got it right, because Elisabeth still plays the violin in an orchestra and I still play the cello. I immediately fell in love with the cello when my father gave it to me, most of all because of the deep sound of the C string which fascinated me from the start. The cello has a warm, rich sound. It felt like tasting chocolate. My father taught English and music at the grammar school. He also played the piano and sang. He guided me at the beginning of my career and he did well. He understood that I had talent and introduced me to the wife of the local doctor, who played the cello, and taught me for 4 years. Then my father took me to Professor Alexander Molzahn in Frankfurt, with whom I studied for another 4 years from the age of 15 to 19." Studying with the greatest cellists: János Starker and Mstislav Rostropovich. Playing at Nelson Mandela's home in Cape Town. Maria Kliegel gained international recognition by winning the 'Grand Prix' of the Concours Rostropovich in Paris. She also won first prizes at the American College Competition, the First German Music Competition in Bonn, and the Concours Aldo Parisot, and she was also in the national selection for the series 'Concerts with Young Artists.' Musical blood runs through her veins. 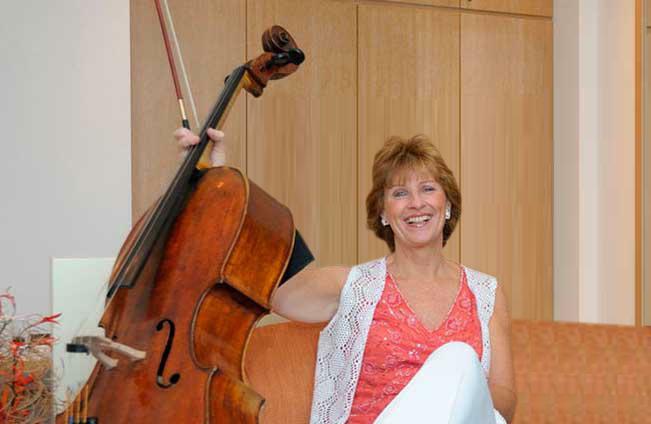 Maria Kliegel knows how to play the cello and knows how to build a career. Thanks to her rich imagination, a formidable technique, and great perseverance she successfully followed the path of fortune and fame. After winning the Rostropovich Competition, the international concerts and tours began. She performed in Basel, and played with the National Symphony Orchestra in Washington D.C. and the Orchestre National de France in Paris, each time with Mstislav Rostropovich conducting. She has performed in many of the major concert halls around the world. 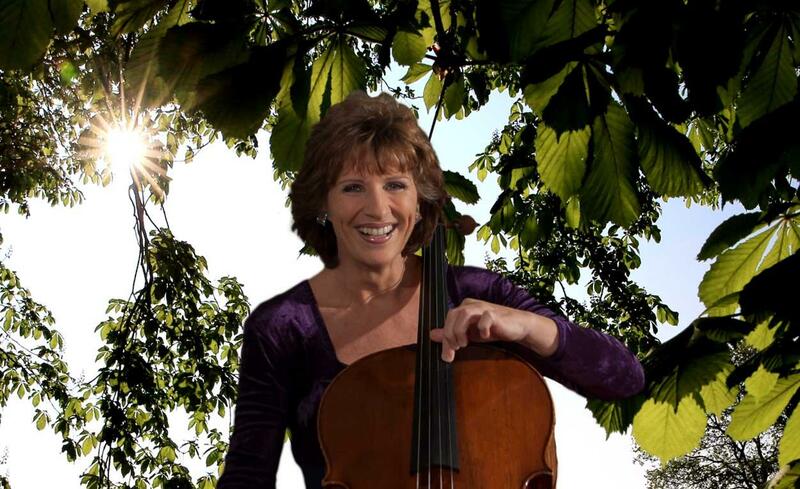 In addition to most of the standard concerto repertoire, she has recorded works by Sofia Gubaidulina, John Tavener and Ernest Bloch and 'Hommage à Nelson M.' by Wilhelm Kaiser-Lindemann, a piece dedicated to Nelson Mandela. She has also recorded chamber music by Bach, Brahms, Chopin, Kodály, Mendelssohn, Schubert and Schumann. Gradually Maria Kliegel became celebrated for her interpretation of the great masters. It was Alfred Schnittke who was full of praise for the interpretation of his own Cello Concerto, which he called "definitive". 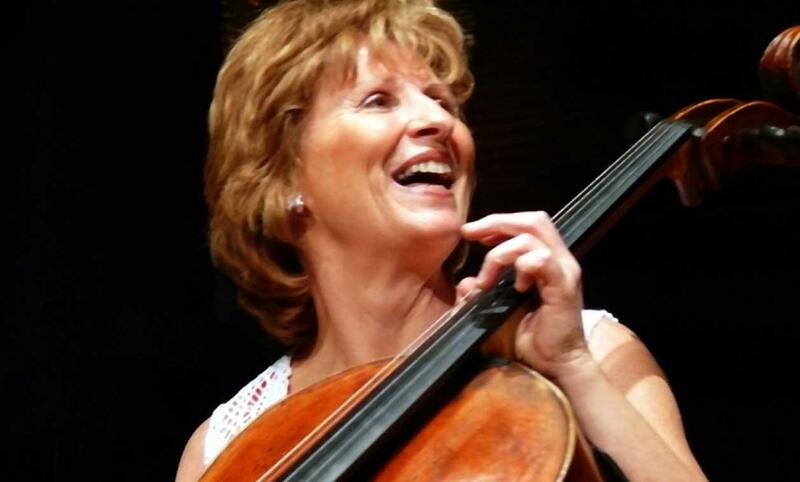 And it was the great master of cello, Mstislav Rostropovich, with whom she travelled and played later in her career, who enthused: "Maria Kliegel is the best cellist I have heard since Jacqueline du Pré." Maria Kliegel together with Nelson Mandela in 1997, who was then the President of South Africa. Kliegel met Mandela at his home in Cape Town and is proud of having played for him. "I always wanted to meet Nelson Mandela." Since 1986 Maria Kliegel is a Professor at the Cologne Music Academy. She also travels around the world giving masterclasses and can look back upon a solid early career having studied with two of the greatest cellists of the 20th century: János Starker and Mstislav Rostropovich. 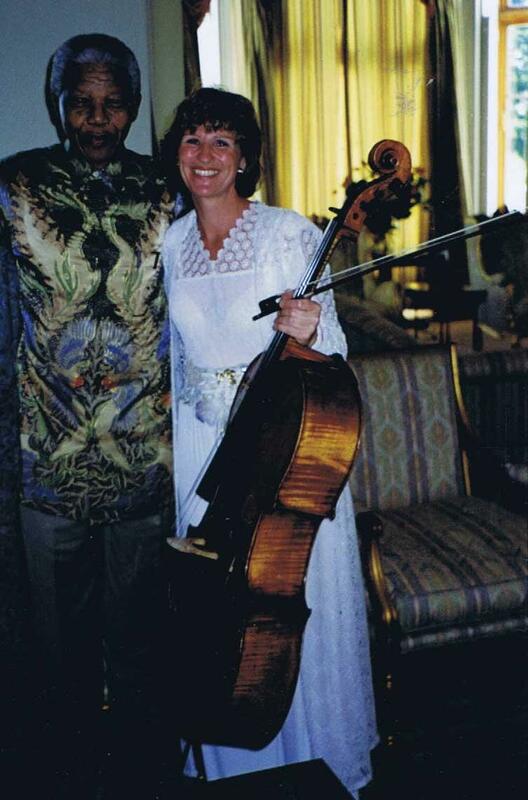 In 1997 came the pinnacle of her career: playing the cello for Nelson Mandela at his home in Cape Town. Maria Kliegel is very satisfied with how the different steps in her career were made. "I have had a solid basis thanks to my three teachers. Professor Molzahn taught me much about musical literature, especially cello literature. He did a wonderful job." Then János Starker and Mstislav Rostropovich entered her life. Maria remembers it all very well: "As a girl of 19 I had the chance of going to study with the famous Navarra, in Sienna, and I was completely focused on that. I was, so to speak, emotionally, already in Italy. However, I was suddenly asked by János Starker to follow a summer course of 2 weeks in Canada. And my former teacher in Frankfurt, Molzahn always used to say: when you are ready here in Frankfurt, you should go and study with Starker. So after one sleepless night I decided to change my plans and instead of going to study with Navarra, I chose for Starker, who offered me a great opportunity. It was a difficult decision, but I was also very curious. I wanted to get to know Canada and Starker." János Starker, the Hungarian cellist and music pedagogue, taught from 1958 until his death in 2013 at the Indiana University Jacobs School of Music in Bloomington (USA), where he held the title of Distinguised Professor. Starker made a significant contribution to the repertoire of cello. For Starker, studying music was not just about rehearsing with the instrument, but 'knowing the music by heart, note by note, phrase by phrase.' He introduced the notion of counter pressure, meaning that a cellist has to push his instrument forward with their left knee, before the bow is halfway, otherwise the tone is not strong enough. Starker once said: "Bach is hors concours. He didn't play the game, he made the rules." It seems that János Starker, who was giving masterclasses in his Summer School of Arts at Shawnigan Lake in Canada, invited Maria Kliegel to come to Canada. Maria Kliegel: "Starker was a better cellist than Navarra. He fled from Hungary and built up a reputation in the USA. He played very well technically. He understood exactly how to play the cello and how the music has a to be performed. He knew that, to play, a cellist has be healthy, physiologically right and also has to have a sound psyche. After that masterclass, I studied with him at the Indiana Universtiy in Bloomington for two years and he provided with with a solid, technical basis." Maria Kliegel emphasizes the importance of developing a good technique and starting with that as a young child. 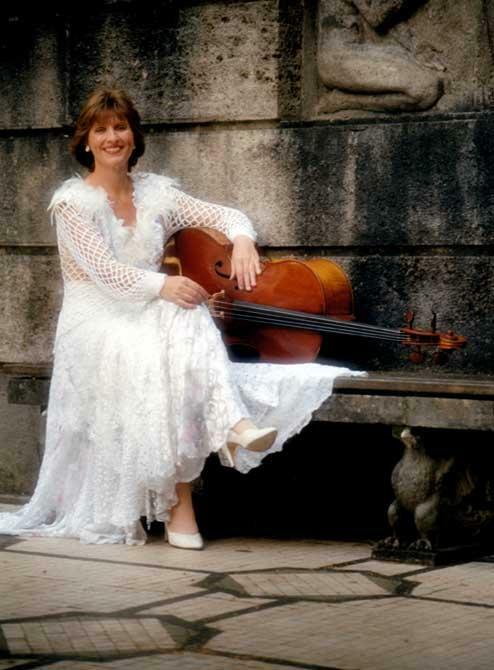 She wrote a book about the technique for cello, entitled "Using Technique and Imagination to Achieve Artistic Expression," a project with 2 DVDs, published by Naxos in 2010. Maria Kliegel points out that a good technique, for example the bow technique and the left-hand technique, is essential for a good cello player. "A good coordination of left and right hand, wrists, muscles, upper arm, is also of the greatest importance. You have to start training for that when you are young. Also, you need to train your head. You have to learn how to become very disciplined and how to cope with success and failure. Muscular training is very important for a cello player." 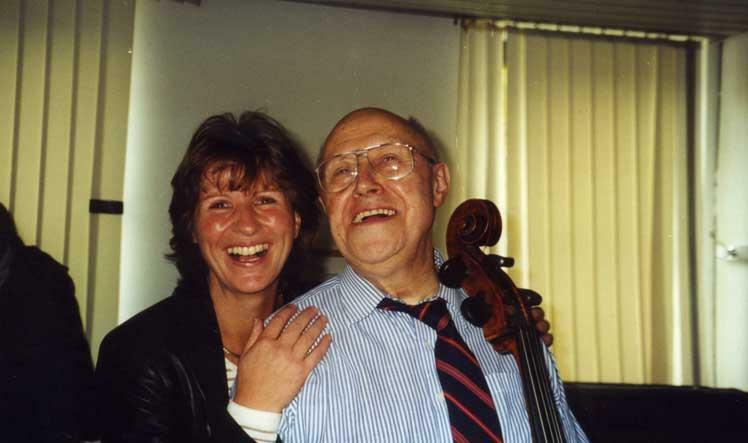 "The soul of the cello must be recognizable"
After studying with Starker, Maria spent some time with Mstislav Rostropovich (photo left), the Russian pianist, cellist and conductor from Azerbaijan. He is known as one of the most gifted cellists post the Second World War. Maria: "I had idealized Rostropovich since I was 15 or 16, playing all his records. I adored his music. With regard to technique, he didn't show me much. He just showed me how he saw and felt music himself. It has always been my dream to study with Rostropovich. Then I had the opportunity to follow a masterclass by him in Basel and so I went there. That was fantastic, very fascinating. He had so much love for music, so much energy. He always said: "It doesn't matter so much how you play, you have to be creative and communicate with the audience. The people have to understand what you want. You can play whatever you want, as long as your music raises emotions. He gave me a lot of inspiration. He really lived music and through him I learned that the soul of the cello must be recognizable."